The Florida boat shows are a major component of the boating and yachting industry. 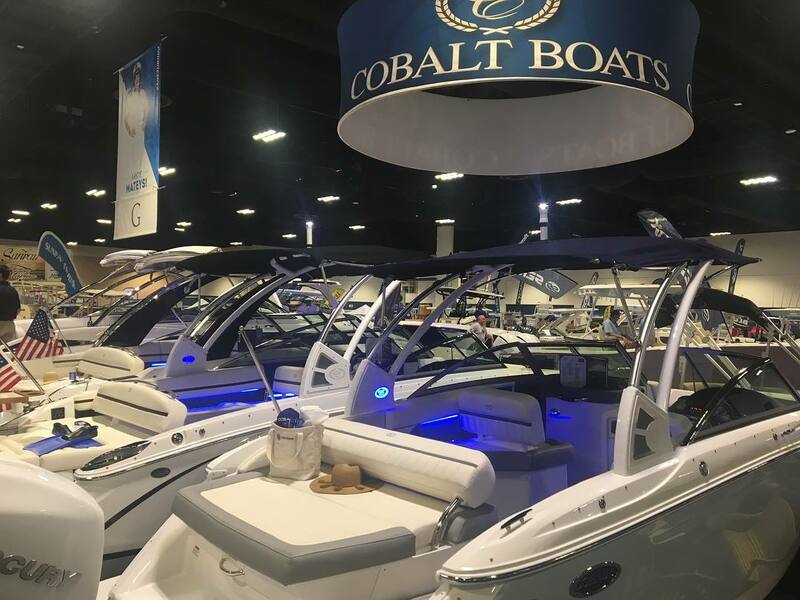 With some of the biggest boat shows in the world being a part of the Florida boat show calendar, the participation of the yachting industry and boating enthusiasts remains quite high. While much attention is given to shows such as the Fort Lauderdale and Miami boat shows, there are a number of shows throughout the year that might be better for you depending on your objectives. In this article, we’ll look at the Florida boat shows calendar as well as provide some tips to help you maximize your time should you attend one of these shows. Which Show Should You Attend? The Fort Lauderdale International Boat Show and the Miami Boat Show are two of the biggest boat shows in the world. 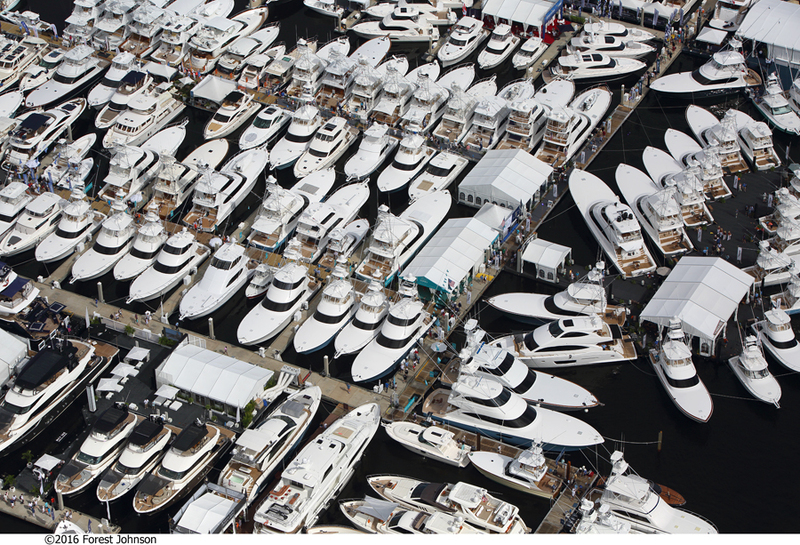 The Palm Beach International Boat Show is smaller, but still a significant show in terms of attendance and participation. Boaters and yacht enthusiasts from all over the world fly to Florida to attend these shows, and as such, these shows are given the full attention of the yacht industry. There are thousands of boats on display at these boat shows. Attendees are given the unique opportunity to browse essentially all the offerings from every major manufacturer in the industry. Due to the scale, these shows can be overwhelming especially for a first time attendee not working with a yacht broker. Continue reading below for our tips on how to approach these massive boat shows. What is often described as the “Miami Boat Show” is essentially two shows occurring simultaneously (the Miami International Boat Show and the Miami Yacht Show). The Miami International Boat Show takes place on Virginia Key and typically showcases more new model yachts whereas the Miami Yacht Show (just moved to north of Downtown Miami at Sea Isle Marina) showcases a selection of pre-owned and new yachts. Note that shuttles and other transportation are available to assist guests interested in attending both shows, but you will need separate tickets for entry to each show. The Miami boat show is considered a favorite of yacht and boating enthusiasts who also enjoy the social scene that comes with the actual show. For serious boaters uninterested in the party scene that accompanies the Miami boat show, the Fort Lauderdale International Boat Show might be a better option. Alternatively, the Palm Beach International Boat Show is smaller than Miami and Fort Lauderdale, but bigger than most shows and is very popular with serious boaters. Potential buyers looking for an opportunity to singularly focus on a yacht purchase may find the Palm Beach show to be quite useful. The Florida boat shows on the west coast of the state are also popular and very useful for boaters. These shows, compared to the larger, international shows are more localized. People rarely fly in for these shows, and they are typically attended by Florida residents within a few hours drive. 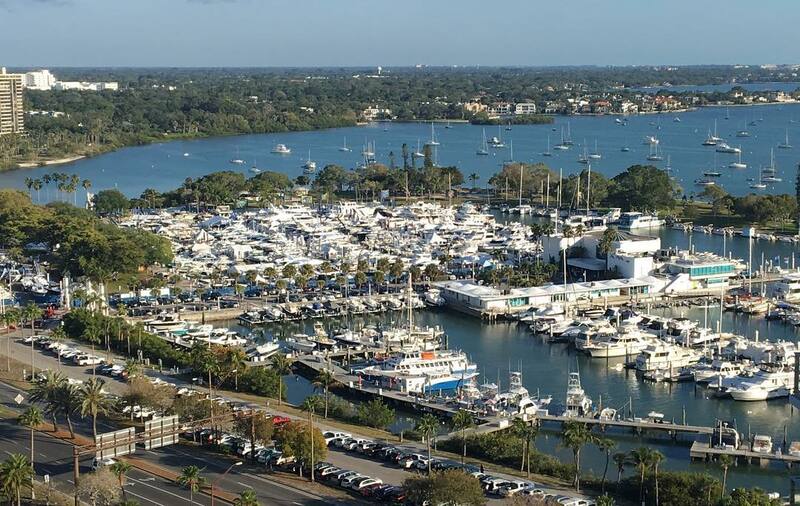 The St. Petersburg Boat Show is considered the largest boat show on the west coast with the Tampa show and the Sarasota show coming in close behind. The Fort Myers show is also well attended, and the Naples boat show will soon be restarting as a result of the renovations that have occurred at the downtown Naples docks. Many in the industry expect the Naples show to grow and become more significant in the years ahead. Utilize your yacht broker. It can’t be overstated enough. Your yacht broker can and should provide a plan and agenda for your time at the boat show. The combined experience and contacts of your yacht broker will ensure efficient use of time by setting appointments, providing tips on what to avoid and by providing a more specific list of yachts to focus on during your time at the show. Go with a plan. Especially for Miami and Fort Lauderdale, simply showing up will often lead to a disappointing experience. The large shows are too big to see everything in a single day, so a focused plan (ideally with the guidance of your yacht broker) is extremely important. Narrowing your list of yachts to view to no more than 8-10 yachts can be a good starting point. Make appointments. While some attendees prefer to not be locked in to a specific schedule with appointments, serious buyers are not maximizing the opportunity if appointments are not used. If in the market for a particular yacht, you will not get the best and right people to talk to you unless you make an appointment. The reason for this is often that the best and right people are simply busy with other appointments! While other brand representatives will be made available, if you’re in the market for a high dollar yacht, you should be talking to the specialist of that exact yacht type or model. Appointments are needed to do so. Your yacht broker can be instrumental in setting up the right appointments for you. Be honest about your timeline and where you are in the purchase process. If you’re not considering a purchase and are simply there to browse the yachts, don’t feel the need to overstate your agenda. The brands and yacht brokers working the show won’t be offended if you’re not looking to buy. On the other hand, if you’re looking to make a purchase at the show, make sure you notify the salesperson in advance especially on the larger yachts. Giving them advance notice will ensure they’re prepared for your arrival, and you won’t waste time with details and paperwork that could have been prepared in advance. If you’re looking to purchase within the next 12 months, engage a salesperson or a yacht broker. They can help organize your approach and provide insights of which you may or may not have been aware. If you’re more than a year out, direct engagement with a salesperson is optional. If in the market for a new yacht or boat, boat shows are ideal for seeing and viewing a wide selection of boats in person. Especially at the larger shows, you can browse the latest and greatest from nearly all yacht and boat manufacturers. Comparing a selection of models in-person is easier at a boat show than any other venue. Boat shows are an educational experience. If you’re new to boating, it’s hard to find a better place to begin your education process. Not only are a myriad of yachts and boats on display at these shows, but quite often there are demonstrations and other how-to learning experiences. Getting a breadth of hands-on, practical experience that a boat show provides is a great way to jumpstart your boating knowledge. Boat shows are a great way to introduce the hobby to your family and get everyone excited about the boating lifestyle. Boating is much more than the actual boat itself, and boat shows do a wonderful job of showcasing the various elements of the boating lifestyle. These shows are a great way to get up to speed on the latest technology and offerings in the industry. Even seasoned boaters can fall behind in knowing the available gear and technology in the industry. Boat shows are a perfect opportunity to learn about the new and innovative features that the industry is bringing to market. If you’re considering attending one of the Florida boat shows in the year ahead, we strongly encourage you to contact one of our TGYG yacht brokers. Our team can help point you in the right direction, setup the best appointments and guide you through this important process. Understanding Dual Console Boats: Is The Crossover Right For You? Have a question this article didn't answer? Ask one of our experts!